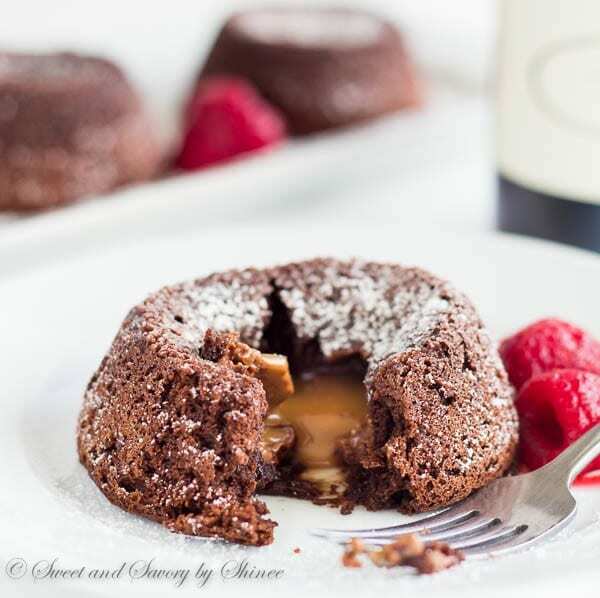 My mini caramel lava cakes will satisfy your sweet tooth for chocolate, caramel and cake, all with just one bite! If you love chocolate and caramel as much as I do, you’re in for a treat, my friend! It’s no secret that I love chocolate. My treat drawer (everyone has a treat drawer, right?) and pantry are filled with Ghirardelli, Dove, Snickers, Kit-Kats, basically anything and everything with chocolate! But this time of year, before Easter, is special time for me to stock up on my all-time favorite CARAMEL EGGS. Convinced? Good. Now let’s talk about the recipe. First thing first, we need to cut out small circles to line the muffin pan. Why not to use cupcake liners, you ask? 1. These are not cupcakes. 2. Liners are cumbersome to remove later. 3. 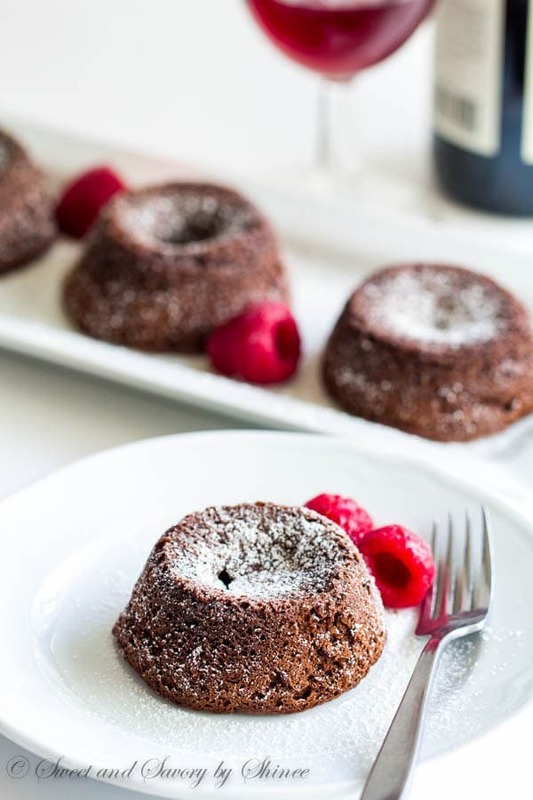 Lava cakes are not wrapped in paper cups. But you do need to line the bottom of each cup, trust me. Moving on to the batter. 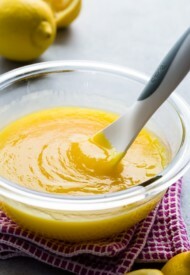 We need to take our time to beat the eggs with sugar and vanilla until the batter is tripled in size, thick and white. With my stand mixer, it took me about 5 minutes. We want nice and aerated mixture. This is crucial for light and fluffy texture of the cake, so no cheating here. When we add the remaining ingredients, gently fold the mixture to keep as much air as possible in the batter. I tested the recipe with both frozen and not frozen caramel eggs, and learned that frozen candies perform much better. When you revert the mini cakes, it’s totally normal if they sink in the middle. The caramel egg is simply collapsed, but all the ooye-gooye caramel is still there, I promise. 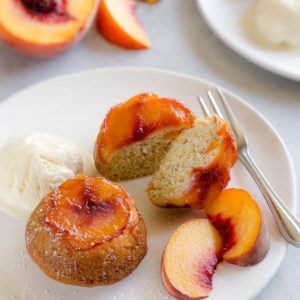 These mini cakes are so tender and delicate. Filled with my favorite mini caramel eggs and baked for just 7 minutes, these babies need to be served immediately! Preferably with fresh berries and homemade vanilla ice cream! Preheat the oven to 400°F (200°C). Cut out 9 small circles out of parchment paper and line the bottom of muffin pan. Spray with cooking spray. In a small bowl, whisk together flour, cocoa, baking powder and salt. 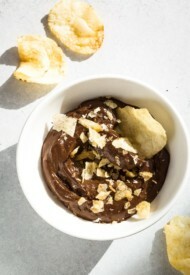 Place the chocolate and butter in a heatproof medium bowl and place it over simmering water. Melt chocolate and butter, stirring with rubber spatula, until smooth. Let it cool slightly, and then add it to the egg mixture. Using a rubber spatula gently fold the mixture. Add the flour mixture and continue to fold until combined. 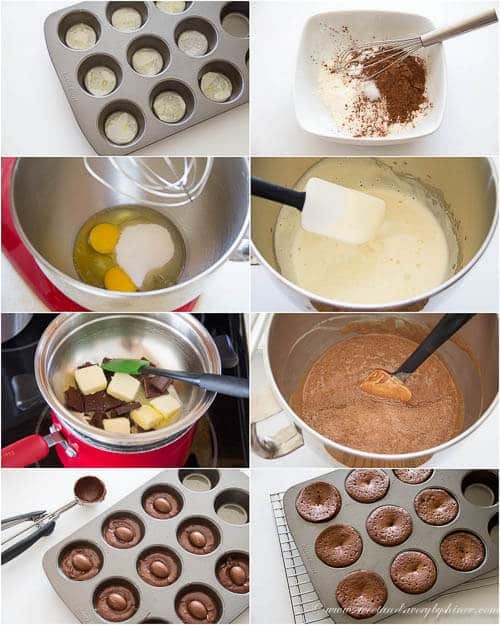 Put one caramel egg in the center of each cupcake. Bake for 7-8 minutes. Transfer onto wire rack for 1-2 minutes, then place a cookie sheet on top and revert. 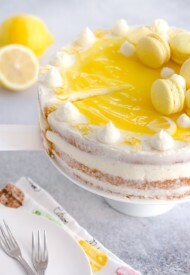 Transfer the mini cakes onto serving plate using a spatula. Dust with powdered sugar. 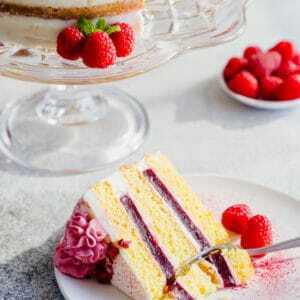 Serve immediately with fresh berries, or vanilla ice cream, if desired. I want to make this but cannot find the mini eggs this time of the year, do you have another suggestion???? Hi….can these be frozen before eating? Or parbaked? Hi, Blaine. I haven’t tried freezing these cakes. It made my mouth water. It’s delicious! 🙂 It’s really delicious. Thanks, Raphaella! 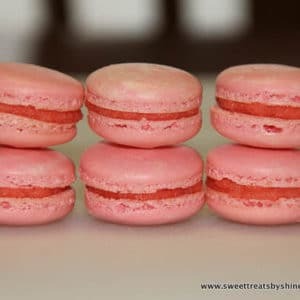 These are the perfect little sweet serving! Love it! How wonderful, I loved it! These look amazing!!! Pinned! Would love for you to share at this weeks Happiness Is Homemade Link Party! Have a terrific week! These look AMAZING. 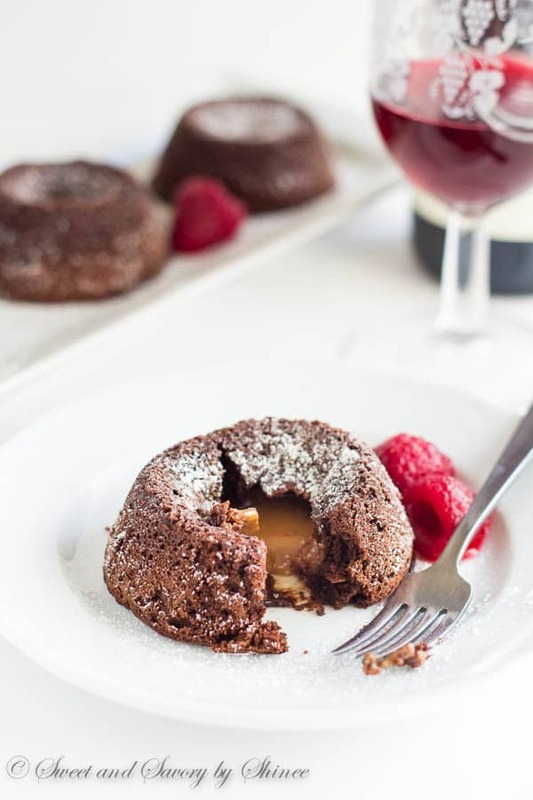 These are the perfect dessert to serve after a stay-at-home date night dinner. Thanks so much for linking up your recipe at This Is How We Roll Thursday. My pleasure, Corinne! Thanks for stopping by. Yummmm I want these in my belly now!. thanks for the lovely recipe. What a great idea!! 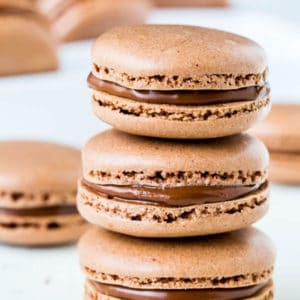 Now I just need to figure out how to make these vegan, lol. Hi! Stopping by from Ginger Snap’s Wow Me Wednesdays. This looks so good. I’ve pinned it for later use. Your pictures are gorgeous. Oh my goodness!! These look devine. I will be pinning this one to try later. Thank you, Bonbon. I’m glad that you found my blog. 🙂 Enjoy. 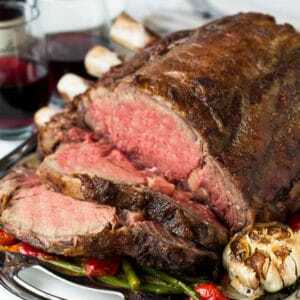 This is pinned and looks delicious! I’m partying with you on Lou Lou Girls. Okay, these are going on my to-do list. So yummy looking – great presentation. These are totally to die for!! I love the drippy caramel! Shinee!!! oh my gawd, the caramel chocolate eggs in the middle are GENIUS!!! love these!!! That gooey oozy caramel is to.die.for. Yep, the best part! 🙂 Thanks, Sharon. 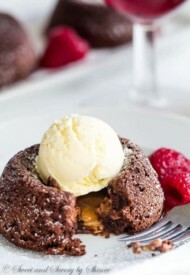 All that delicious caramel molten centre is making me drool.. beautiful photos Shinee! Just LOVE the idea of using the caramel eggs in these! Genius! The caramel eggs make things much easier. Thanks, Ashley! What carmel eggs did you use? like a cadbury carmel egg? too big? Yes, I used Cadbury caramel eggs, but the mini ones.